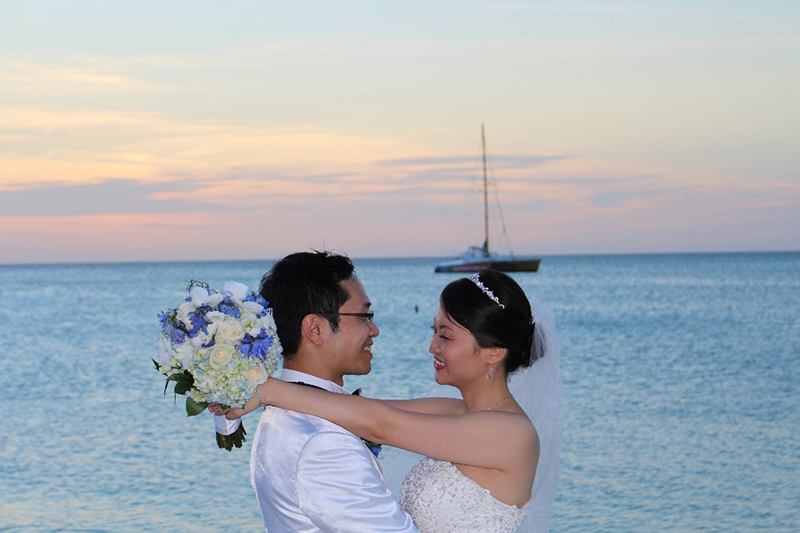 Palm Beach – The romantic wedding ceremony of Karen Cheung and George Ng took place on the beautiful beach of the Radisson Aruba Resort on December 5th. 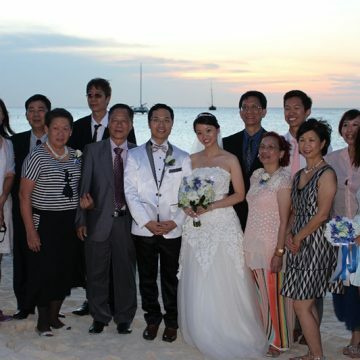 The Hong Kong based couple exchanged their nuptials in the presence of their family and friends who travelled from the US, Canada as well as from far Asia to be with them on this special day. 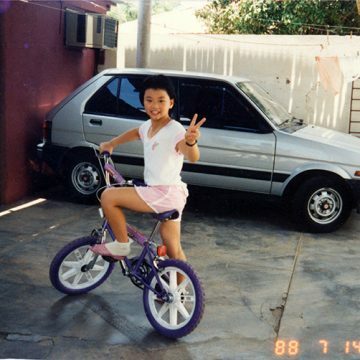 Cheung is no stranger to the island. 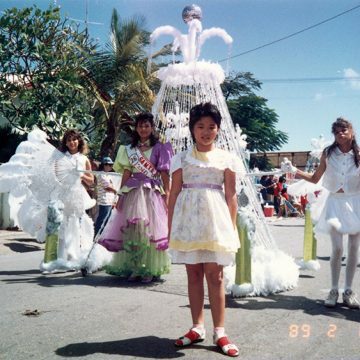 Her family settled down in Aruba in the 1970s, and operated a popular bar located in Dakota for more than 30 years. 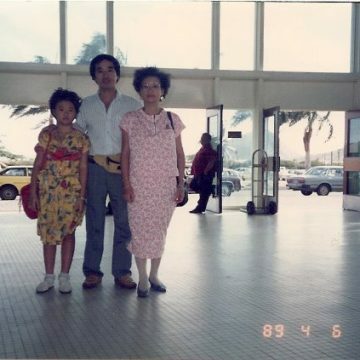 In June of 1988, Cheung followed her parents to Aruba from Hong Kong and resided here for a year. 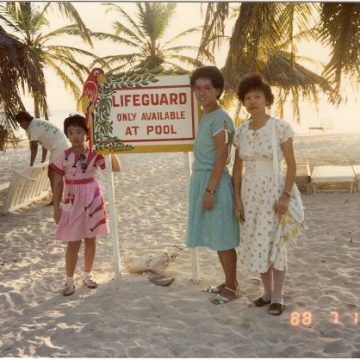 Cheung visited St. Dominicus College during this time before returning to Hong Kong in 1989. 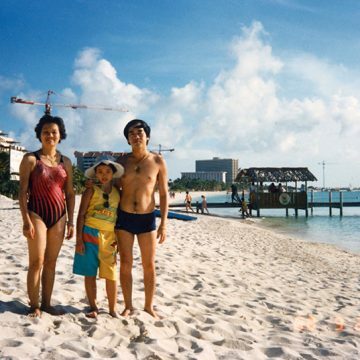 Twenty years later, in 2009, Cheung travelled to this beautiful island again. 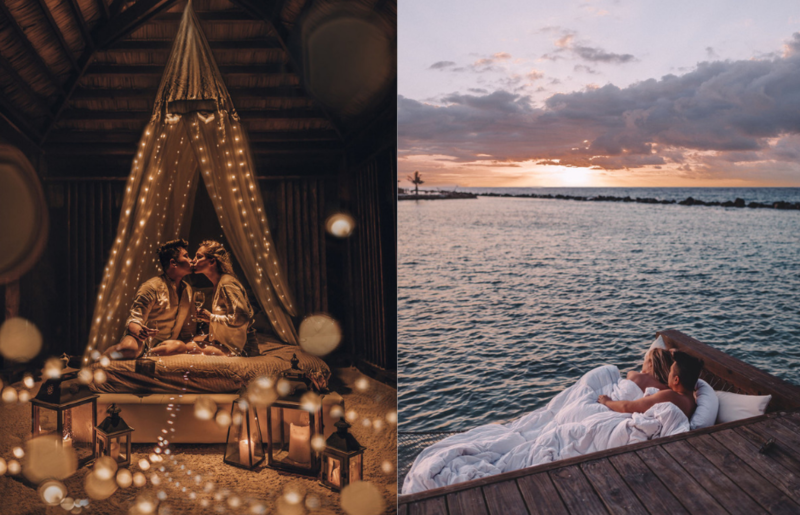 The unforgettable trip to this happy island made her realize that she wanted to make it a mission to revisit this paradise every five years. 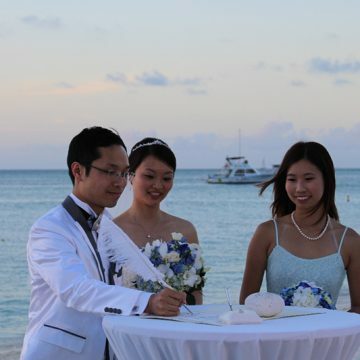 Little did she know that five years later, she would be accompanied on this trip by her fiance and be married in Aruba. 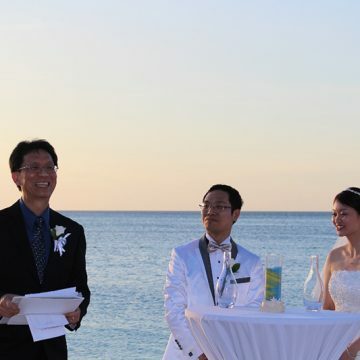 “I love to give the best experiences to my wife”, said the groom. 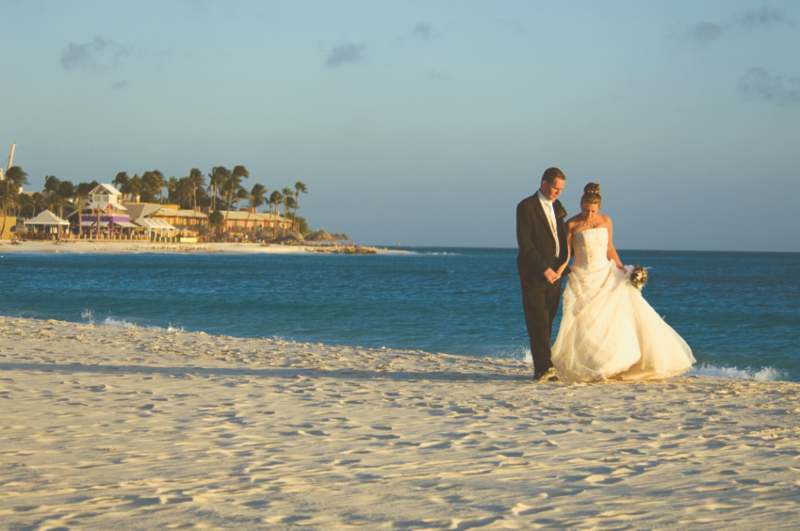 “The peaceful and colorful environment, harmonious culture, nice people and beautiful scenes of Aruba made this island the perfect wedding destination for us”. 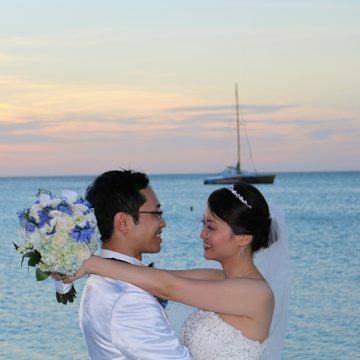 Celebrating their wedding in a naturally beautiful setting with the crystal-blue waters of the Caribbean, and stunning white-sandy beach, was a dream come true for the couple. 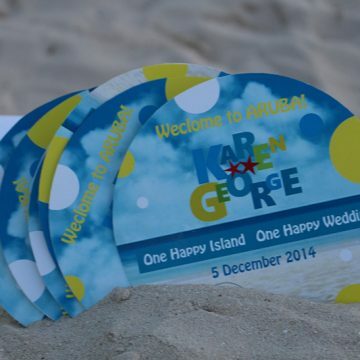 A Hong Kong designer created a custom logo for the couple’s wedding, which perfectly matches the official Aruba logo and colors. 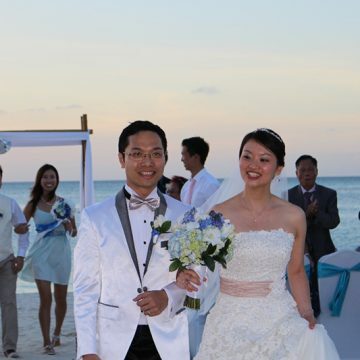 The wedding details and coordination were in the great hands of Lissy Lampe from Ceremonies & Celebrations. 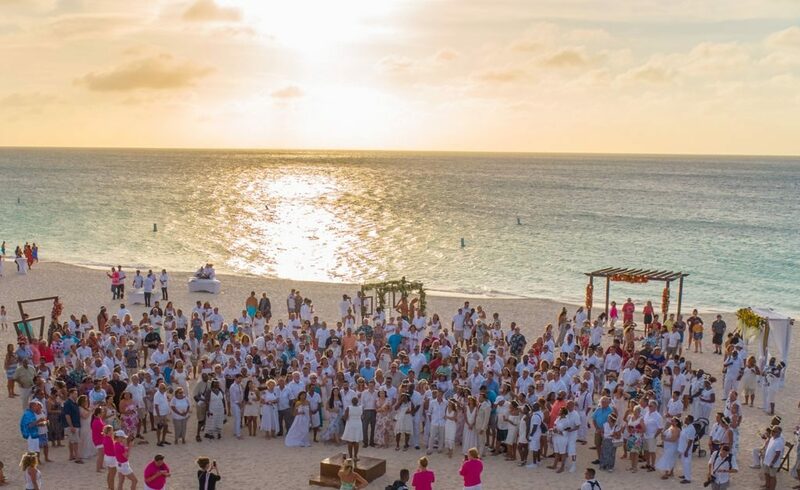 The beach blessing was followed by an elegant and intimate dinner at Sunset Grille, the resort’s award-winning signature restaurant.